New studies confirm the toxicity of fluorides – especially for babies and children. Fluorides are already given to babies from the day of birth for caries prophylaxis, although scientists do not agree whether this procedure is useful or rather harmful. In the meantime, there are more and more research results that warn against the use of fluorides – but this does not diminish the supply of fluoride tablets, fluoridated toothpaste and fluoridated food salts. Fluoride advocates still insist that fluoride compounds are good for the teeth. However, recent studies prove the opposite. Recently, a study in the Journal of the American Dental Association, which concluded that fluorides are a toxic substance, also added that they could be difficult to dose due to their excessive occurrence in food, beverages, and the environment, and therefore, it can heavily depend on the individual dosage whether or not someone’s teeth will be affected and end up having fluorosis. Infants and adolescents are at high risk! Fluorosis manifests itself in a discoloration of the tooth. It begins with seemingly harmless bright spots and ends with deep brown holes, which usually involves cavities. However, this effect of a long-lasting fluoride overdosing is not limited to the teeth, but also leads to bone fluorosis which can cause premature brittle bones. During their study, Dr. Steven M. Levy and his team discovered that the consummation of fluorides during the first four years of life was significantly associated with fluorosis of the incisors in the upper jaw, particularly during the first year of life. As a result, the researchers warned the general population to not prepare babies’ food with fluoridated water. If there are fluoride concentrations of only 0.01 milligrams in mother’s milk, mineral water may still be declared “suitable for babies” if they already contain 0.7 milligrams of fluoride per liter. It is important to point out that six months old or younger infants do not yet have a fully developed blood-brain barrier, so the administered fluorides can be deposited not only in the teeth, but also in the brain (or other organs). Fluorine compounds are called “accumulation poisons”, which means that they are not excreted by the organism, but accumulate in the body over time. In some cases, the individual tolerance limit is exceeded and so begin the health problems concerning mostly the nervous system or the kidneys. icated that fluorides could be a potential cause for the apparition of cognitive disorders. Another team of researchers at Harvard University discovered a link between fluoride and bone cancer on the basis of a fourteen-year study. Those who consumed particularly high amounts of fluoride daily showed the highest rates of osteosarcomas symptoms, a malignant form of bone cancer. These results confirmed previous government findings from the 1990s. At that time, experiments on rats gave similar results. The unnaturally high intake of fluoride by tablets, mineral waters, tooth creams and food salt can also lead to kidney damage. A Chinese study found comparisons between different study groups and concluded that children with a slightly elevated fluoride level exhibited pathogenic kidney values. The National Research Council also found that fluorides could interfere with thyroid function and weaken the hormonal system. To be fair, it was a no-brainer, since fluorides in Europe were still used in the standard formula for antihypertensive drugs until the 1970s – simply because fluorides restrict the activity of the thyroid gland. With so much evidence presented against the common use of fluorides for humans, why do people still accept this substance to enter their bodies under various disguises? Anyone looking for a pediatrician or dentist for their child and expects competent answers on the subject of “caries prophylaxis with or without fluoride” will be rather disappointed. Most of the time, you’ll be given opposing information. One of our surveys carried out at five different children’s hospitals revealed five different statements. The first questioned pediatrician recommended that fluoride tablets should be given from day 1 of life up until to the fifth year. He recommended fluoridated toothpaste for children. The second doctor advocated fluoride tablets only for the 1st month of life because newborns on fluoride tablets would frequently react by having abdominal pain. When the first teeth set appears, they should just be removed and then be cleaned with fluoridated toothpaste. The third doctor advised against tablets and recommended only the use of fluoridated toothpaste. He thought the latter was made for children, and so it was perfectly safe if it were swallowed. The fourth doctor stated that it was irresponsible to use fluoridated toothpaste for babies who could obviously not spit it out yet. He was approving of tablets, but only during the first year. The fifth doctor considered that tooth decay is not a fluoride deficiency disease and can be best avoided with a healthy, lowered sugar consumption and age appropriate diet. So, now it’s your turn – Who’s right? Many countries have been asking for non-fluoridated water, and this topic has been a major health concern for decades now. 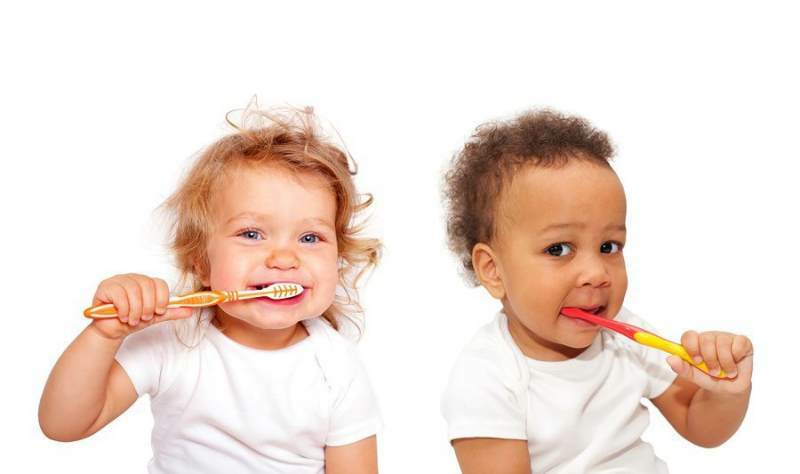 If you have very young children, make sure you take the appropriate decisions regarding their overall health and most importantly, take into consideration what happens to their teeth because tooth decay problems are some of the most painful and discomforting. Heavy tooth damage can lead to dreadful complications in life, not just expense and pain wise.